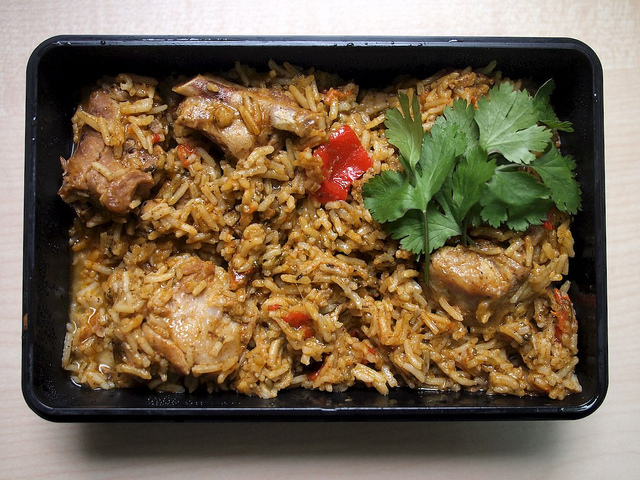 A casado is what Costa Ricans typically eat for lunch or dinner. It includes a meat, plantains, salad or vegetables, and, yes, rice and beans (because just about every plate comes with those black beans). These plates are usually very nutritious and a good value. Many of them will even include a fruit juice on the side. 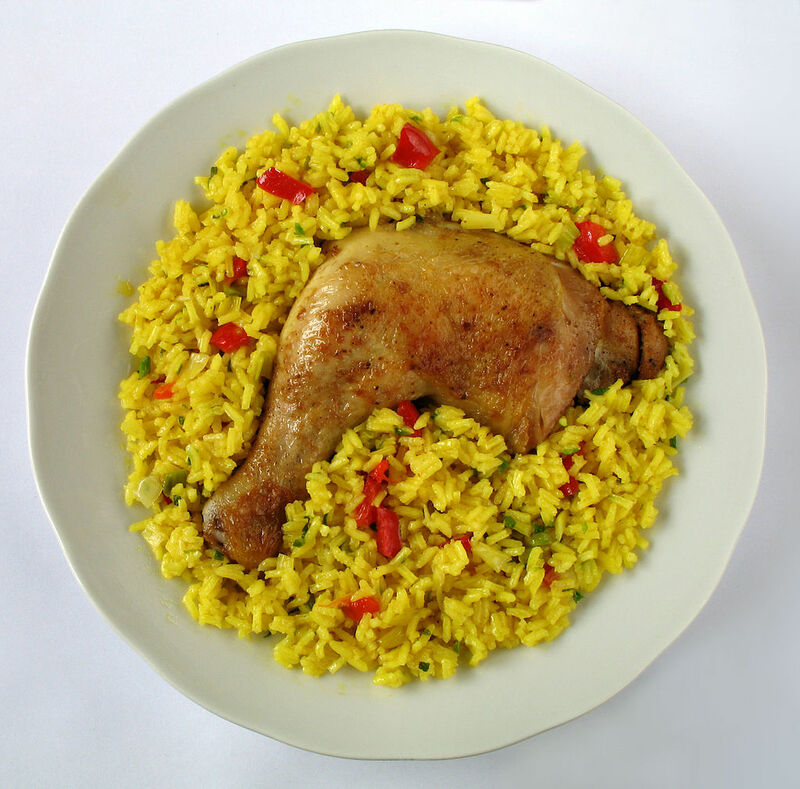 Arroz con Pollo is one of the most popular Costa Rican dishes. The chicken in Costa Rica is very delicious and has incredible flavor compared to the chicken which doesn’t taste like much of anything in the US. The rice is flavored with spices that give it a nice yellow color. If you are looking for traditional Costa Rican food, this is the dish to order. Arroz Guacho is a sticky rice made with pork ribs. It’s definitely a Carribean-influenced dish and is a perfect thing to order in the cooler areas of Costa Rica. The hint of sour orange juice that this dish is made with gives it a great flavor. While pozole originated in Mexico, it is very commonly found in Costa Rica, and I have had some of the best there. 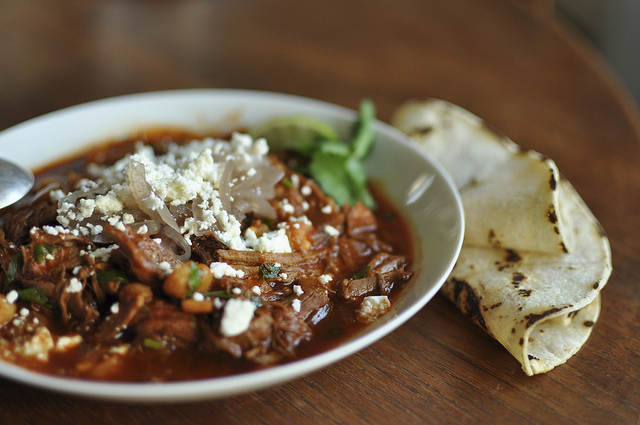 Costa Rica often makes theirs with beef stock, pork, onions, hominy, oregano, chiles, and bell peppers. This is a very comforting stew and is some of my favorite Costa Rican food. 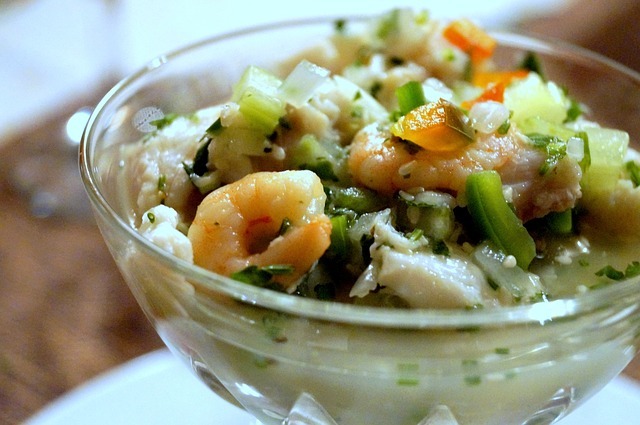 You will also see ceviche spelled as cebiche in Costa Rica. This Costa Rican dish is so well-loved in Costa Rica, there is even a Cebiche Festival to celebrate it. This dish is made of raw seafood that has been marinated in lemon or lime juice. 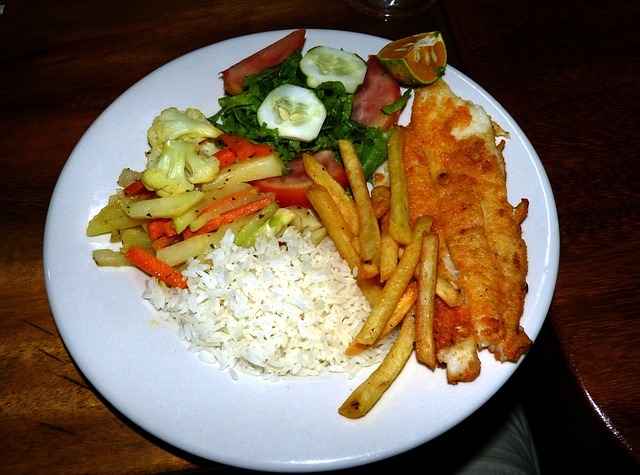 The juices “cook” the fish and this fresh dish is wonderful for eating in the hotter coastal areas of Costa Rica. You may also want to read my tips on the best Costa Rica beaches and this article on safety in Costa Rica. 2 Responses to "Costa Rican Food: 5 Costa Rican Dishes That Go Beyond Beans"
Yum! Sign me up for any and all of these dishes. How scrumptious!